This extra long solid kelly green tie is for the big and tall guys. 100% Satin finished, poly This extra long tie measures in at approximately 62 inches long. 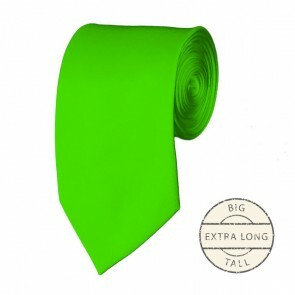 This extra long solid lime green tie is for the big and tall guys. 100% Satin finished, poly This extra long tie measures in at approximately 62 inches long. This extra long solid mint green tie is for the big and tall guys. 100% Satin finished, poly This extra long tie measures in at approximately 62 inches long. This extra long solid olive tie is for the big and tall guys. 100% Satin finished, poly This extra long tie measures in at approximately 62 inches long. 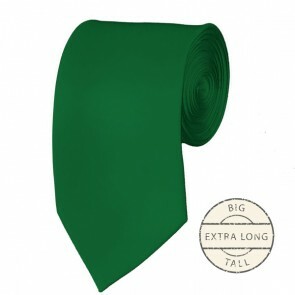 This extra long solid light sage tie is for the big and tall guys. 100% Satin finished, poly This extra long tie measures in at approximately 62 inches long. This extra long solid teal green tie is for the big and tall guys. 100% Satin finished, poly This extra long tie measures in at approximately 62 inches long.